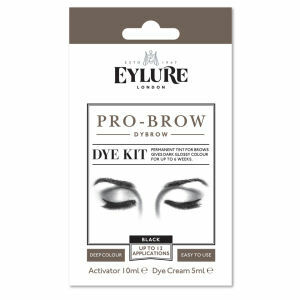 The brown Eylure Pro-Brow Dybrow kit will allow you to achieve darker brows that are pefectly defined. Boasting a proven formula that will give you dark, glossy brows for up to six weeks, the set will allow you to tint your brows in the comfort of your own home with no need to visit a salon! Easy to use, the brow tint will give deep yet natural-looking colour. - L.M. Dye Cream Ingredients: Aqua, Cetearyl Alcohol, 2-Chloro-p-Phenylenediamine, Bis-Diglyceryl-Polyacyl-Adipate-2, PEG-40 Hydrogenated Castor Oil, Sodium Cetearyl Sulfate, Sodium Laureth Sulfate. May Contain: m-Aminophenol, 2,6-Diaminopyridine, CI 77491, CI 77492, CI 77499. 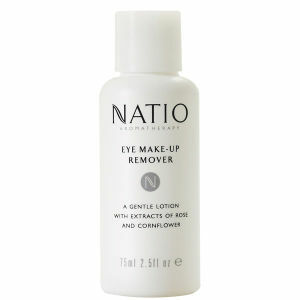 Activator Solution Ingredients: Aqua, Hydrogen Peroxide, Triethanolamine, Phosphoric Acid, Oleth-10.